To go with his wizard costume, I made him a flashlight in the shape of a magic wand. 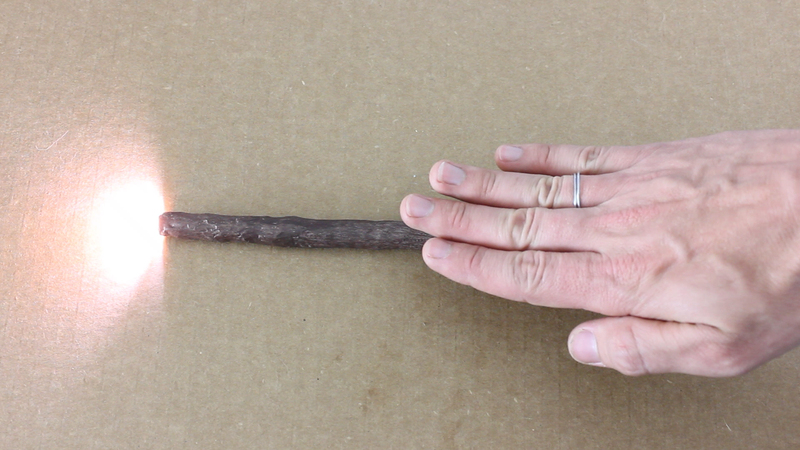 To make it even cooler, I designed the wand so that it is turned on with a magnetic reed switch built into the handle. That way when my son picks up the wand with a magnet hidden inside his glove or on a ring, the light will magically turn on. But when anyone else picks up the wand, it won’t do anything.